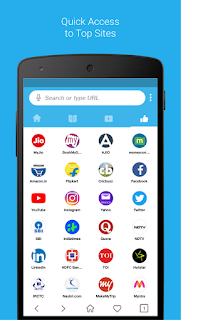 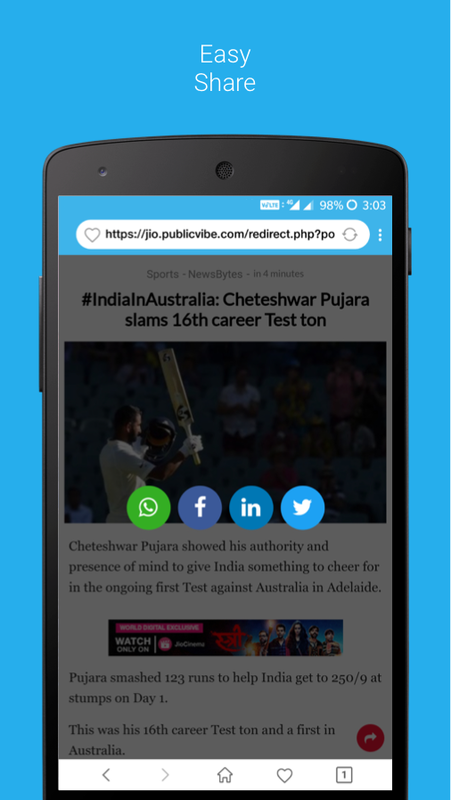 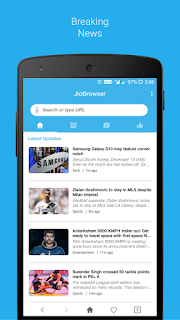 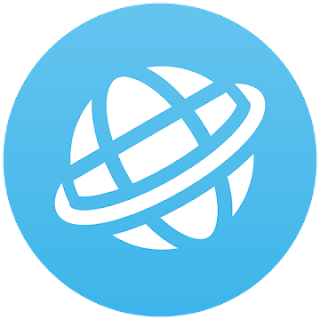 Jio Browser is a fast and easy to use browser for your android smartphone, due to small size of the app it is extremely light and efficient for your device. 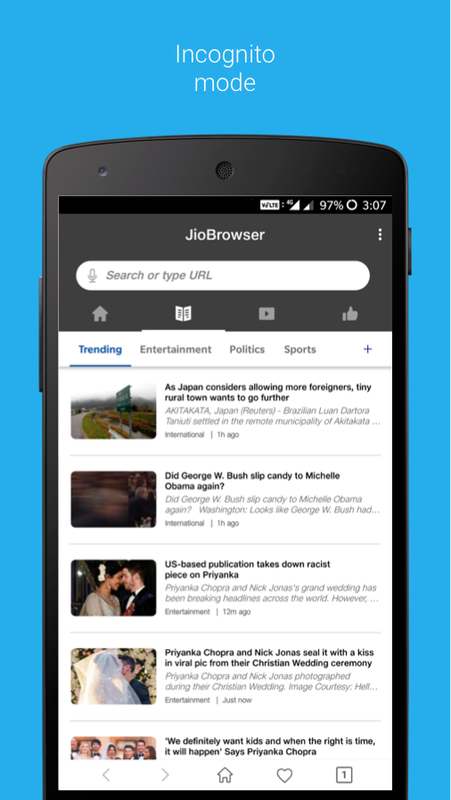 Get relevant news, latest happenings and other engaging videos, all in one place from Jio Browser. 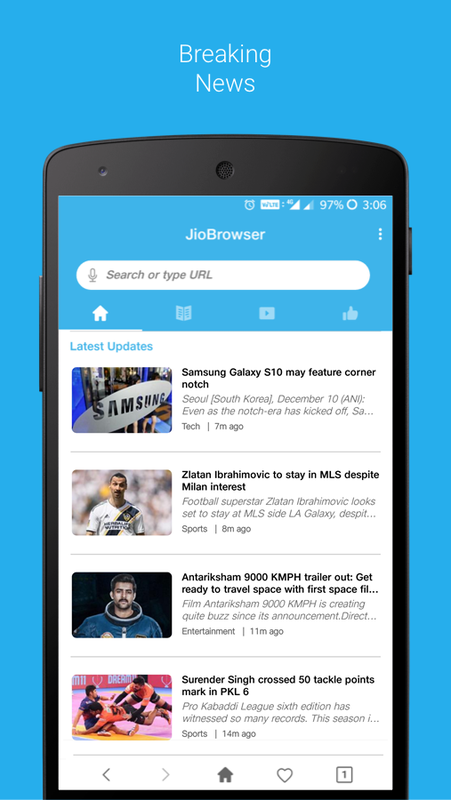 Customize your news feed by selecting the local News category of Jio Browser and get updated with the events happening in your neighborhood. 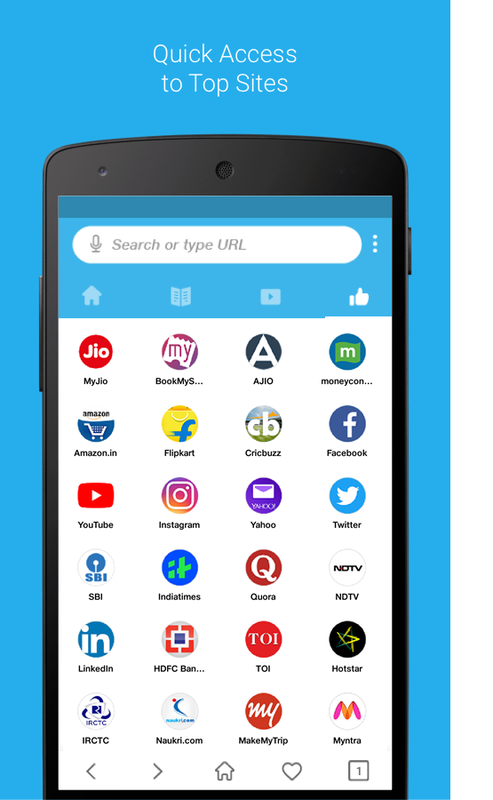 Application UI is designed by a excellent team of experts thus bringing you the smoothest and fastest browsing experience. 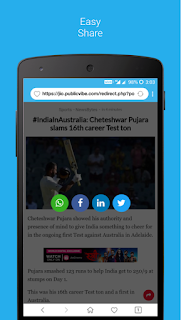 Now share your favorite News or Video pieces easily with your contacts on social media.